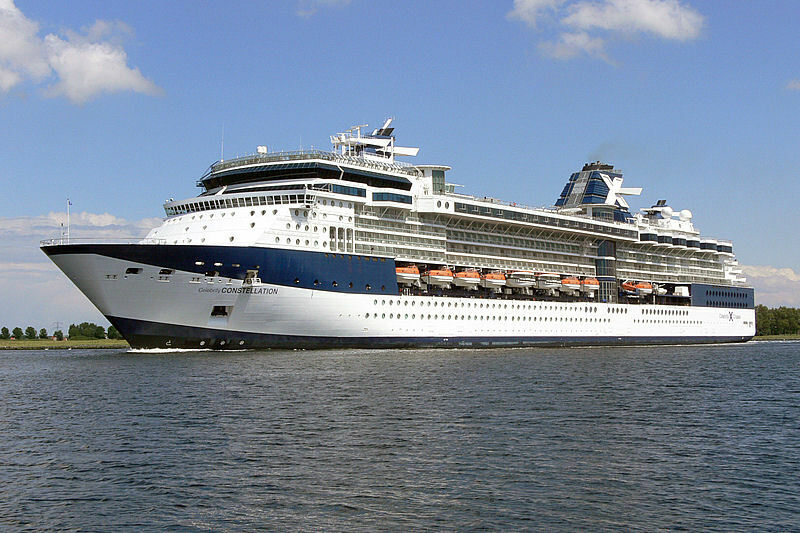 Operated by Celebrity Cruises, Celebrity Millennium is the lead ship of the ‘Millennium-Class Cruise Ships. Launched in 2000, the ship is one of the most environmentally friendly ships in the world and was the first ship to use the turbo-electric COGAS power plant. 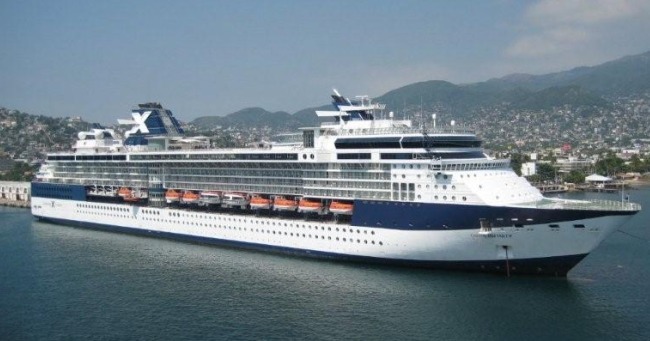 The Millenium benefitted from a major refurb in 2012 which aimed to bring it up to the standard of newer ships such as Celebrity Equinox, Celebrity Silhouette and Celebrity Solstice. Numerous facilities, shops, bars and restaurants ensure passengers have the ultimate cruise in a sophisticated and elegant environment. The Celebrity Millennium offers a wide choice of staterooms, including many with balconies for stunning sea views and al-fresco dining. In the summer the ship is based in Vancouver and Seattle and offers cruises to Alaska, and in autumn she sails to Hawaii and destinations around The South Pacific Ocean. For the winter season, Celebrity Millennium is transferred to Singapore and Hong Kong for cruises to South East Asia destinations. 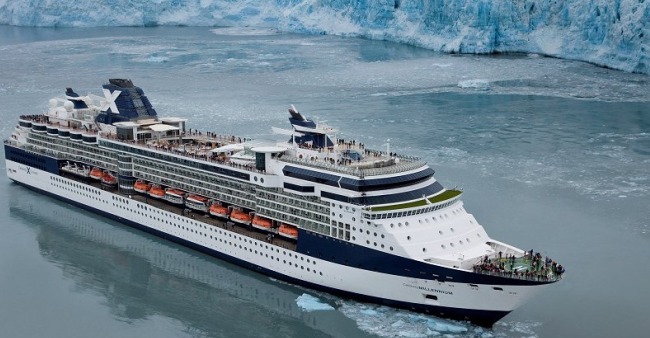 In August 2013 the Celebrity Millenium suffered persistent propulsion problems which brought it’s Alaska season to a premature end. Whether you want to relax on deck around the swimming pool or you prefer something more active, Celebrity Millennium offers a host of activities and features for all passengers needs. Pools and hot tubs allow guests to cool off and relax, whereas the numerous sporting activities on offer daily allow guests of all ages to join in the fun. The on-board fitness centre is open daily until late, with a fully equipped gym for more active passengers. After a fun packed day or strenuous workout why not head to the exclusive Aqua Spa to unwind and relax with numerous treatments available. After dark, Celebrity Millennium offers various shows, cabarets, acts and live music in the many lounges, bars and theatre across the ship. The Celebrity Theatre has nightly shows, comedians and all the latest movies on offer and is also used for lectures and informative talks in the day time. The deluxe on-board casino has various games available for guests to try their luck at, slot machines for first timers and Black Jack, Poker and Roulette for more experienced gamblers. The casino bar is heavily stocked with a wide selection of spirits, beers and wines. Passengers will have a wide range of different cuisines to sample with the numerous dining rooms, specialty restaurants and cafes across the ship. The main restaurant, The Metropolitan is a large 2 storey, traditional dining room which serves various delicious international dishes. The traditional restaurant is enhanced with the unique wooden panels which are the original wood from the RMS Olympic, the sister of the doomed Titanic! For a less formal dining experience, guests can visit the stylish buffet on deck 10 which serves delicious dishes throughout the day in a relaxing environment. Numerous cafes and snack bars are open throughout the day serving freshly cooked food until late in the evening. Finally, if you get hungry at 3am, don’t worry, the helpful friendly staff will be happy to deliver freshly cooked food to your cabin 24 hours a day.